Pravda Includes Font Awesome 3.0 Integration! We have fully integrated the entire Font Awesome Icon Set with Pravda Theme. Each icon can easily be used. 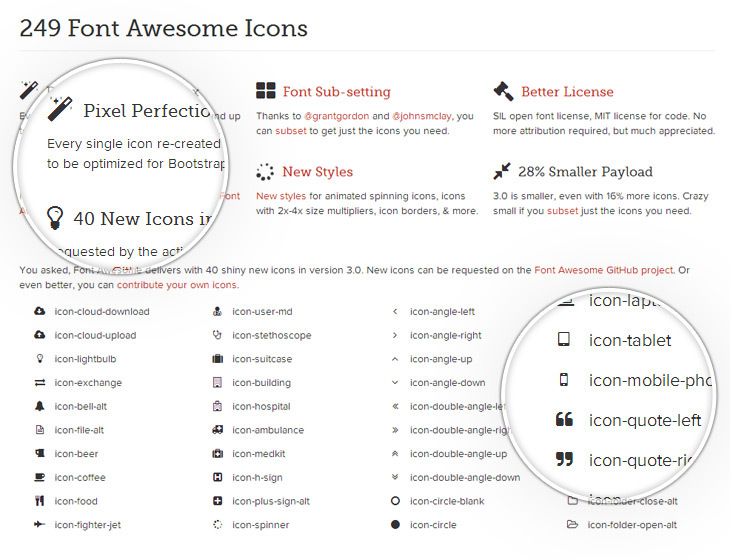 Font Awesome icons are vectors, which mean they’re gorgeous on high-resolution displays. Scalable vector graphics means every icon looks awesome at any size. Easily style icon color, size, shadow, and anything that’s possible with CSS.